The Holidays are coming! Since the ber-months are upon us, everyone is shopping and looking for a place to celebrate. Luckily, Marriott has everything you will ever need for both Halloween and Christmas! 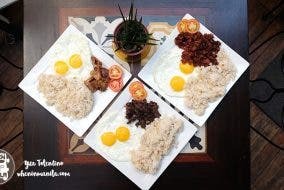 During a press preview, WhenInManila.com got a chance to see and taste Marriott’s latest offerings! And I tell you, they are all so delish! Upon entry of the Garden 1 & 2 rooms of Marriott, we were welcomed by this really cute doodle of what to expect for the day. We were also welcomed with some refreshing drinks! 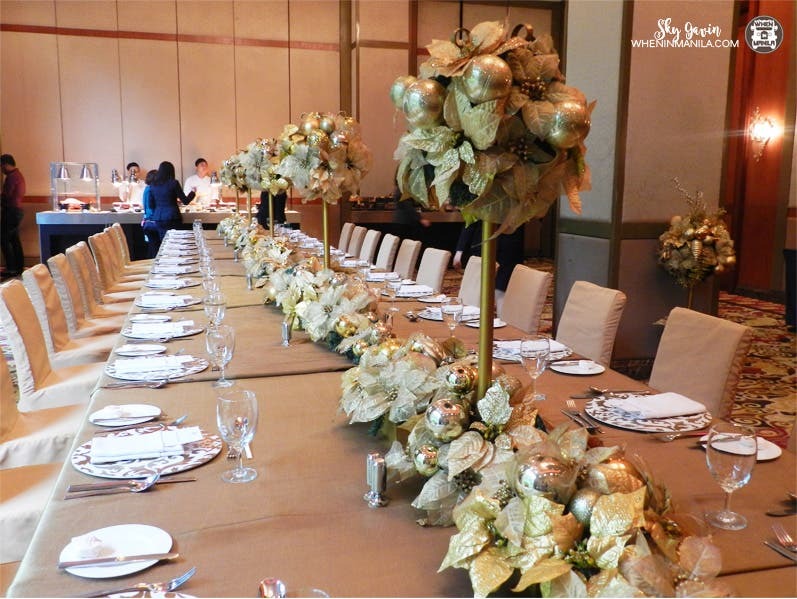 The room was decorated with festive golds, perfect to usher in the Holidays. The table set-up was really nice, just like the festivities lined up for everyone. The Holiday Celebration in Marriott starts with Halloween where witches, wizards, and ghosts were the theme. Marriott pastries are to die for and Cheif Fil Afable has the perfect treats prepared for your pumpkin bags this Halloween. 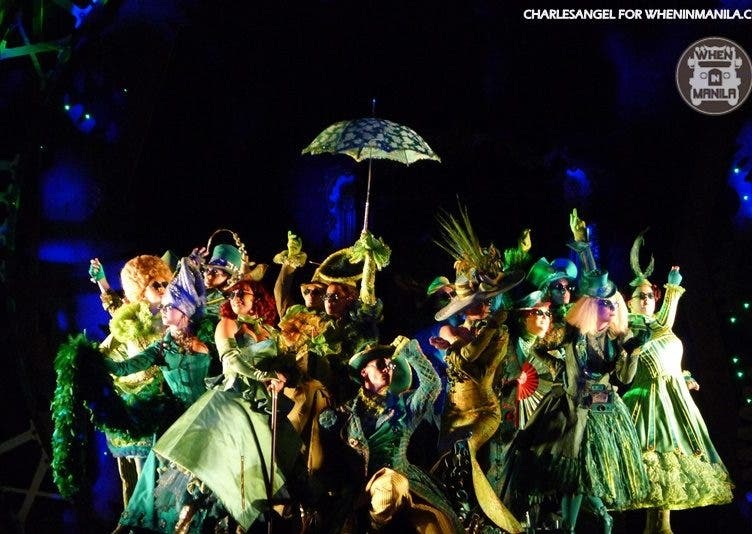 There is a celebration for your little monsters at the Hallow’s Eve celebration on October 30. The event will include a lunch buffet at Mariott Cafe where you can treat yourself with seafood, U.S. Certified Beef, and so much more! Best Halloween Costume will get gift certificates too! How spooktacular is that? 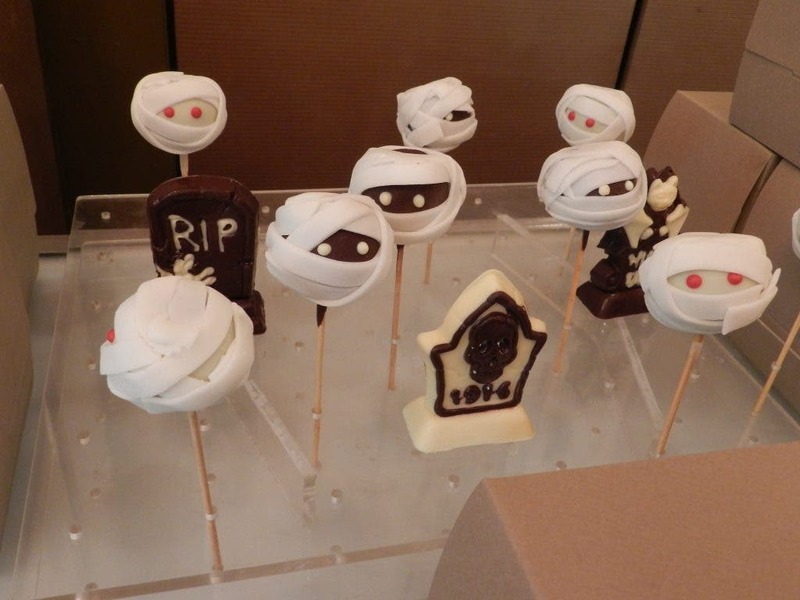 Some spooky treats available at Marriott are these cute Lollicakes which are vanilla flavored and costs Php 190/piece. 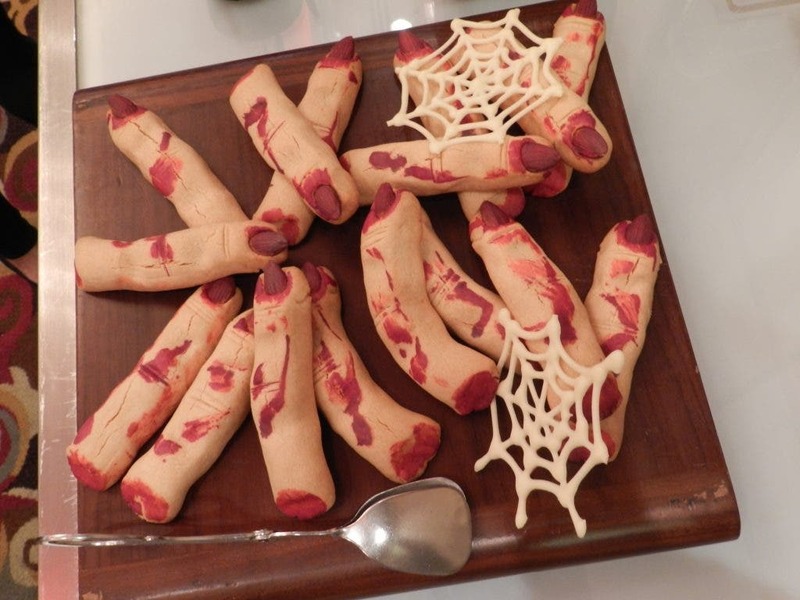 You can also get some creepy finger cookies from Count Dracula and Incredible Hulk for Php60/2 pcs. And indulge in this Spider Web Cake which is a cheesecake covered with some tasty chocolate ganache for Php 1,800. 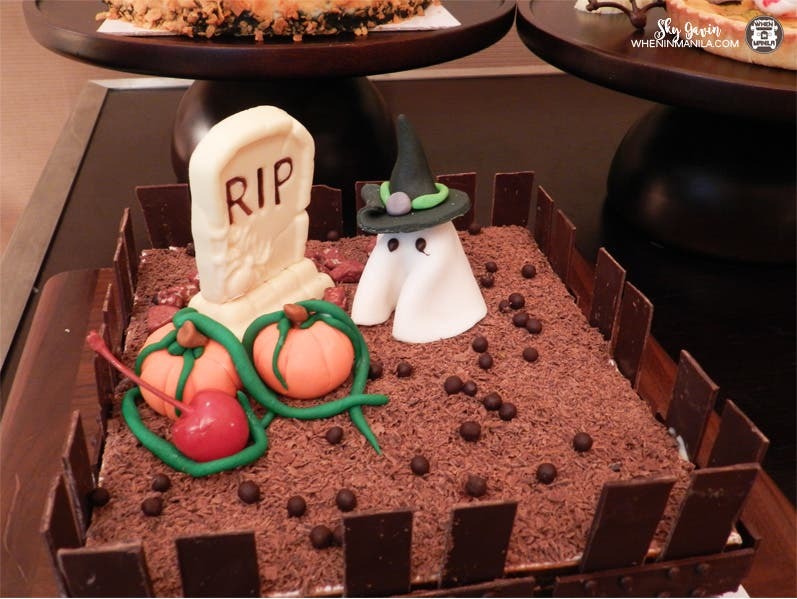 These Halloween treats are available at the Marriott Café Bakery starting October 20 to 31, 201. But the festivities don’t stop there! Christmas is right around the corner and Marriott knows what you need for Thanksgiving, Noche Buena, and even the New Years! Marriott Cafe’s Bakery has every sweet treat you need for Christmas. Perfect with your Hot Coco or Eggnog is some Gingerbread Man (Php65) or a Gingerbread Chalet (Php780). You can also get some Macarons Box of 24 (Php1000), Chocolate Christmas Tree (Php330), Chocolate Angel (Php320), Chocolate St. Nicholas (Php500) and the Best-Seller Big Belly Chocolate Santa (Php500). 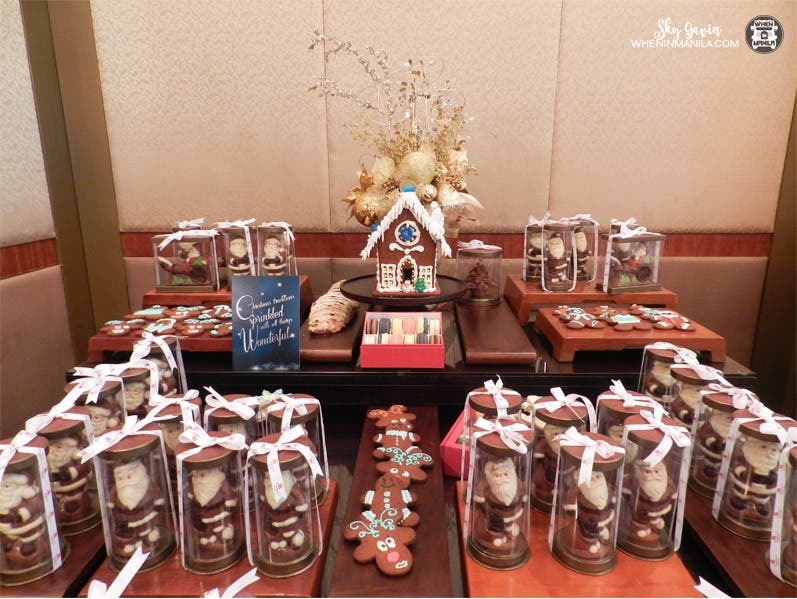 Chef Meik also showed some varieties of the pastries that are perfect as gifts! The 3 Big Belly Santa-carved chocolates (Php800) or 2 Big Belly Santa carved chocolates and Malagos chocolates from Davao are at Php750. If you want a bigger Christmas basket, they also have the Mini Hamper in Leather Box for Php 2,000 includes 2 dozens of holiday cookies, 2 huge gingerbread man, chocolates Santa in sleigh, stollen bread and a spiced apple gourmet jam. The Classic Hamper for Php 3,999 is overflowing with pumpkin seed bread, dark fruit cake, a gourmet jam, can of Malagos chocolates, milk chocolate almond Christmas tree, 6 pieces oversized cookies, milk and white chocolate angel, gingerbread man and a bottle of Benchmark Cabernet Sauvignon red wine. If you want to bring the elegance and taste of Marriott’s food though, you can order their gourmet dishes to-go. The set is complete with appetizers, mains, and desserts. You can choose a main of either the Smoked Bone-in-Ham or Whole Roasted Turkey. The Smoked Bone-in-Ham comes with a kilo of herb roasted baby potatoes, duo of creamy potato salad, rosemary glazed carrots, buttered mixed vegetables like young corn, green bean, mushrooms and cauliflower, and sauce options of mushroom gravy or pineapple. Plus, two delectable pies with flavors of pumpkin and apple. All for Php 4,999! Drench the turkey with either a mushroom gravy or cranberry sauce! The Whole Roasted Turkey includes a kilo of the garlic mushroom potatoes, rosemary glazed carrots, brussel sprouts, pancetta, and creamy potato salad. Also comes with a pie. Costs Php 5,999. 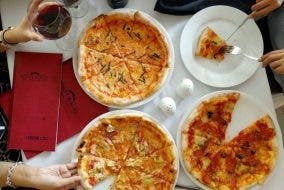 If you can get these for your Holiday dinners then why bother to cook? These are delicious dishes you can order and pick up from Marriott just in time for your celebrations. You can also take advantage of their Dinner Buffet on Thanksgiving Day, November 24, for Php2,6000 or a hearty brunch on all Sundays of December for Php 2,600 (11:30am to 3pm). Wake up to a worry-free Christmas Day by bringing your celebrations at Marriott Manila as well. They have an exceptional Christmas Eve dinner buffet for Php 2950 (6pm to 10:30pm), Noche Buena Buffet for Php 1,600 (11:30pm to 1:00am), and Christmas Brunch buffet for Php 2,950 (11:30am to 3:00pm). And because Christmas is the time of giving, Marriott’s festive room packages will help the Philippine School of the Deaf. Starting November 16 to December 30, the Holiday Room Package can be booked for Php 14,500++ that includes an overnight accommodation in a deluxe room, breakfast buffet for two persons and Php2,000 worth of food and beverage credits that can be used in any outlets or at the train of goodies. You can also get the New Year Room Package for Php 38, 500++, valid on December 31, includes overnight in deluxe room, welcome amenities, breakfast buffet for 2 persons, and 2 gold tickets to the Grand Countdown Party. The New Year’s Countdown party will start with a Mass at 6pm followed by the country’s top acts like Bamboo and Lea Salonga. Five-star dining will also be prepared in the Philippines’ largest ballroom. Kids will surely enjoy at the Kid’s Zone where they can do arts and crafts, watch movies and play games! A kid-friendly buffet is also available for Php 1,500 only. 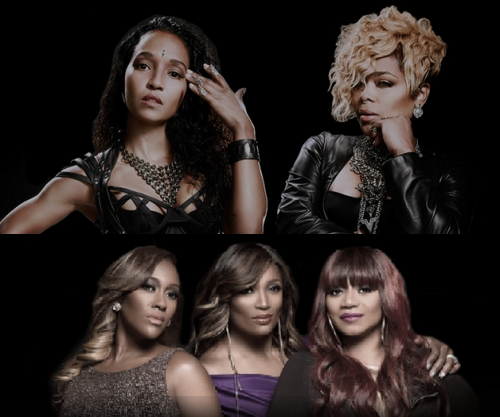 Tickets to the Countdown Party sells out fast so catch them while you still can!